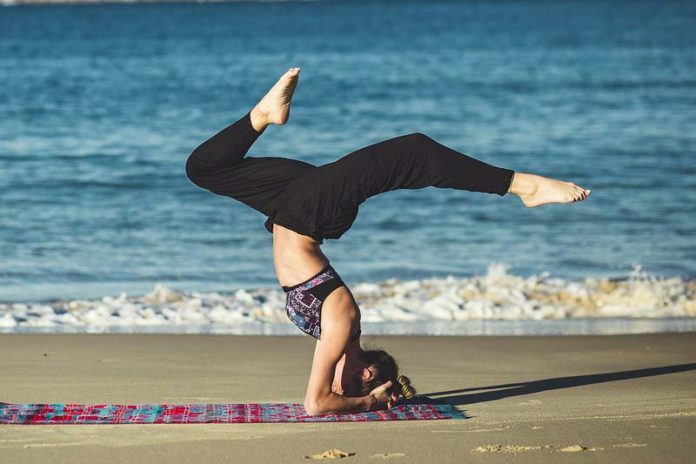 Very few other activities offer the same blend of physical and mental activity as yoga, which is probably why many women who have issues in this area turn to yoga. Stress is one of the most common infertility factors, and yoga releases this stress. There may be a physical connection as well. 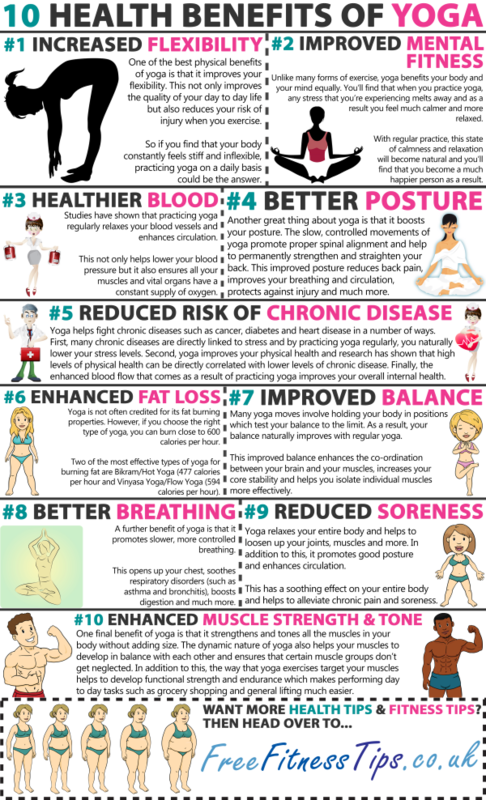 Doing yoga moves your body, thus increasing your human growth hormone. Hgh will increase your sexual desire. 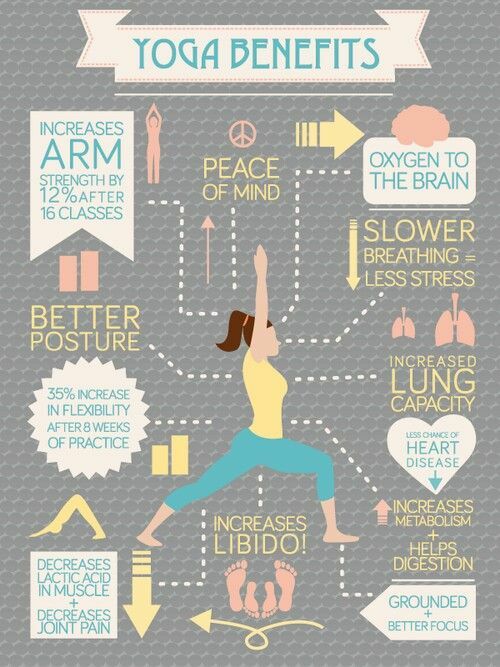 Yoga’s stretches improve blood flow to all organs, even the reproductive ones, increasing the possibility of success. Several poses, including the Fish, Plow, and Shoulder Stand, stimulate the thyroid gland and thus improve metabolism. As a result, your body processes alcohol faster than it would otherwise, so your hangover either goes away faster or is at least less intense. Furthermore, yoga may help detoxify the body. We know for sure that the deep breathing removes excess carbon dioxide and other such environmental poisons from the body, and the effect may be similar for substances like alcohol. In one study, just eight weeks of yoga produced significant results among subjects with heart failure. 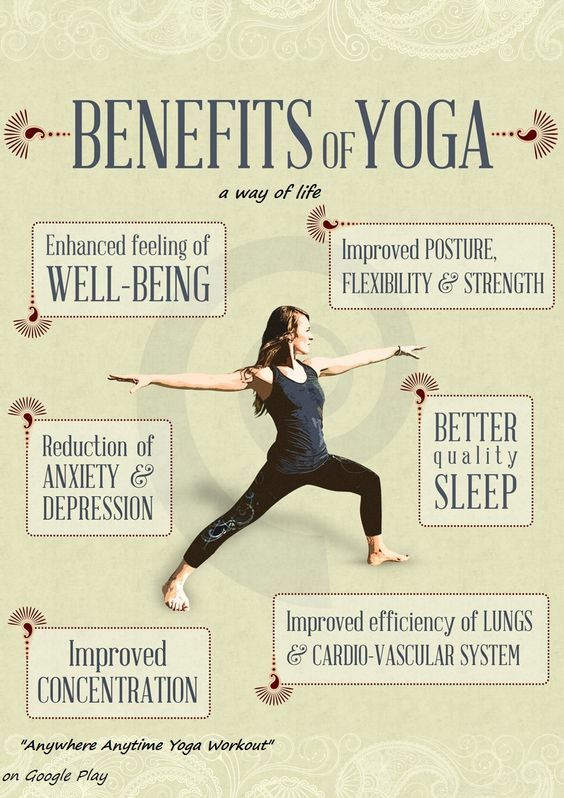 Yoga increases blood flow and therefore reduces plaque in arteries. Furthermore, yoga’s stretches often enable people to do more running and other cardiovascular exercise, thus multiplying the effect. Especially among women with mild to moderate asthma, pranayama (breathing practice) calms the mind and gently forces the lungs to take in large quantities of air. 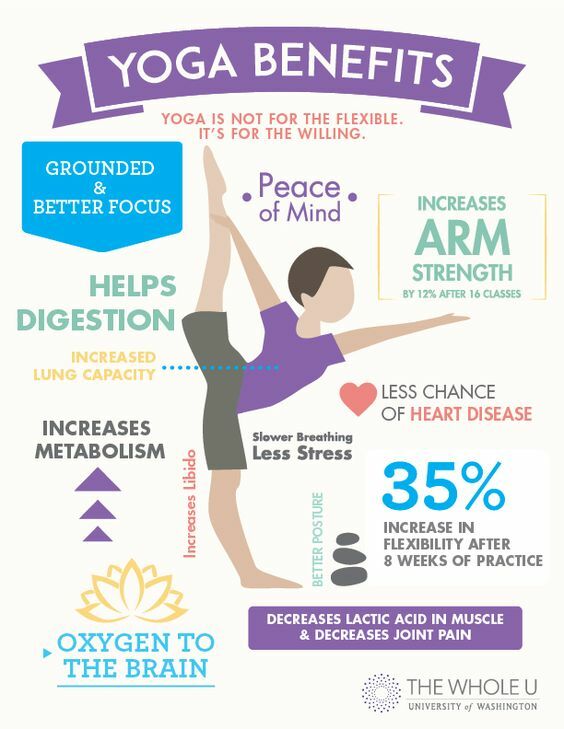 Yoga is not a substitute for asthma medication, but it does help the medicine work better and reduces your dependence on chemical substances. In much the same way, women who suffer from arthritis and practice yoga will still need assistive devices to alleviate arthritis pain, like topical and analgesic pain relievers. But certain kinds of yoga will mean fewer trips to to the medicine cabinet. Bikram yoga and other forms of gentle yoga combine movement with warmth, and these are two of the conditions that often reduce discomfort in joints. Iyengar yoga, with its props and positioning aids, addresses rheumatoid arthritis symptoms through a combination of physical and emotional activity. People who use arthritis gloves both before and after their yoga sessions should experience even more dramatic results. If you’re looking for an alternative to sleep aids, yoga might be the ticket. The Forward Fold and other such asanas positions calm the muscles while improving circulation. Also, and perhaps more significantly, these exercises calm your mind, and since it usually takes several hours before the mind returns to stressful thoughts, a few minutes of yoga about an hour before bed may make a significant difference. 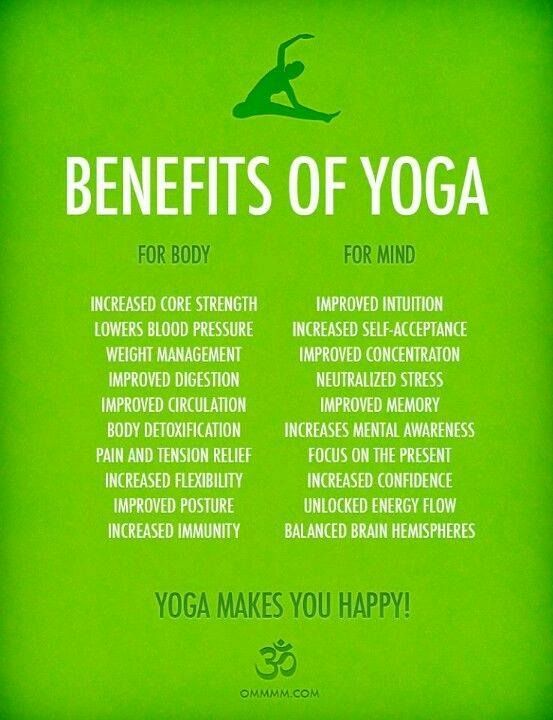 Yoga flushes toxins out of the mind as well as the body. Since there is less clutter, yoga practitioners are often able to focus on a task for longer periods of time and organize their thoughts better. That effect has significant benefits in improving memory hence helps both at home and at work. The Child Pose, and others like it, help reduce cramps and bloating, largely by increasing blood flow to specific parts of the body. 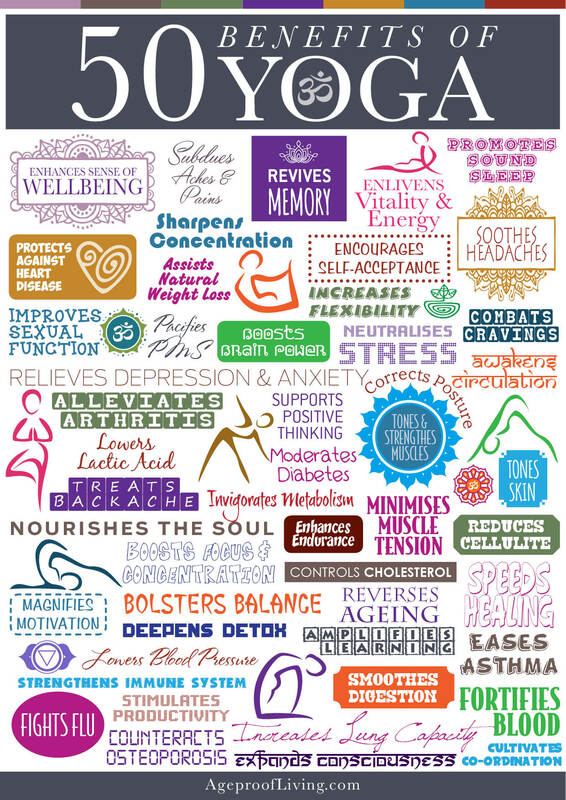 Moreover, yoga’s calming effect helps bring jumbled emotions back into balance. The Bound Angle Pose increases blood flow to the genital area, which boosts both arousal and performance. This yoga pose also builds up the pelvic floor muscles to increase stamina. Overall, yoga also removes some of the mental impediments that diminish the sexual experience for some women. Next articleWhy is Arthritis more common in Females? I admit yoga is my best personal fav for curing a hangover after being out with my gals. Lol. Sounds funny but is sooooo true.